Mrs Lam is Executive Director of Frankie Dominion (Holdings) Limited and a corporate administration and public relations veteran. With her wealth of experience and broad social network, Mrs Lam devotes much of her time to charity and community work, focusing on child development, medical service for people with critical illnesses and health care for the elderly. 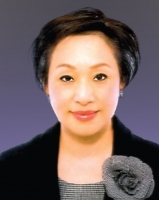 In 2009, Mrs Lam was commended by the HKSAR Government for her tremendous contributions in charity and community work with the Medal of Honour.